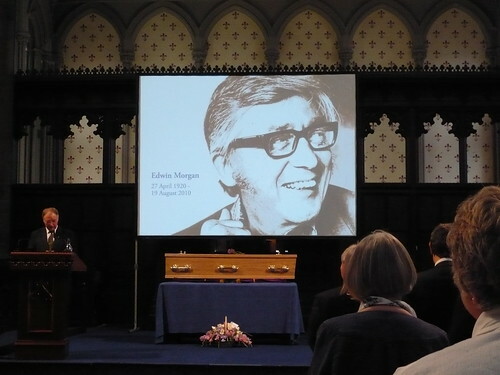 I’m sure it’s news to no one here that the inimitable Edwin Morgan passed away last week, and tributes have been flooding in from all over the UK literary community, the blogosphere and beyond. I feel there’s very little for me to add — Morgan has been universally acknowledged as a literary giant, a truly unique intellect and a wonderful man. However, I couldn’t let such a momentous event pass without adding my own small tribute here. Edwin Morgan has been a massive influence on my work. I started reading his work at a very young age — I was given an anthology of poetry for children edited by Michael Rosen, and one of my favourite poems from it was Computer’s First Christmas Card. I first got my hands on a book of Morgan’s own poetry at the age of 12, when I studied the Stobhill series at high school, and basically fell in love with his work. At that point, I hadn’t begun writing myself — so he was undoubtedly partly responsible for my transformation from reader to writer. My all-time favourite Morgan poem is definitely When You Go, which I spoke about as part of the Carry A Poem project last year. However, Morgan produced so many incredible, magical works throughout his life. He also touched the lives of readers all over the world, but particularly here in Scotland. Over the past few days I have spoken with so many people — friends, fellow poets, readers, Festival visitors and strangers alike — who all have the same story as me. Edwin Morgan wrote something that touched them, changed them; so many people cite a line or a stanza or a whole poem that they carry around with them like a talisman. In Scotland, Morgan was a literary rockstar — endlessly innovative and challenging, inspiring fans of all ages and walks of life. His departure is the end of an era not only for our literary community, but for our national identity. Personally, I feel I’ve lost a great influence, a mentor and an old and dear friend. 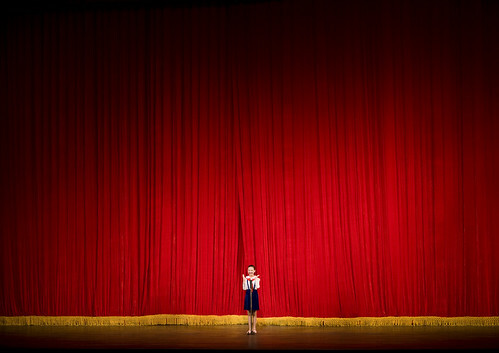 You are currently browsing the One Night Stanzas blog archives for August, 2010.